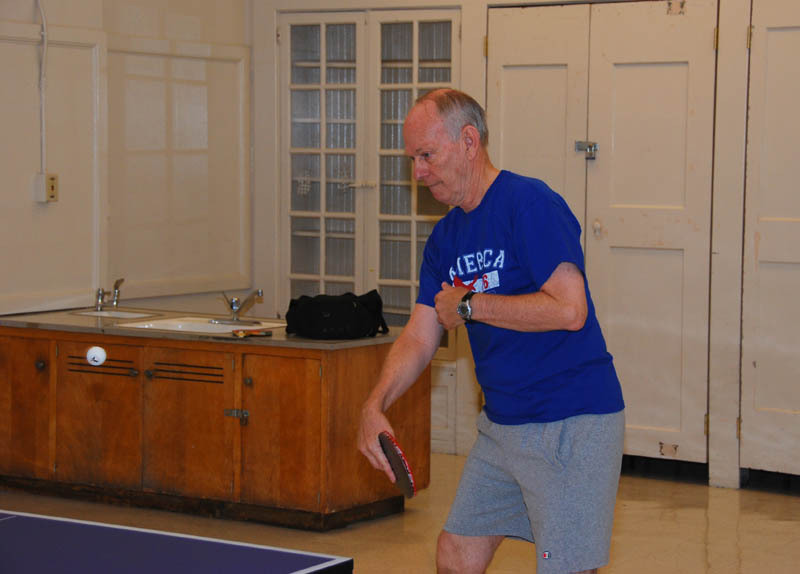 The Northern Virginia Table Tennis Club (NVTTC) is a non-profit membership-based group of amateur players who meet on a regular basis to practice and play table tennis. 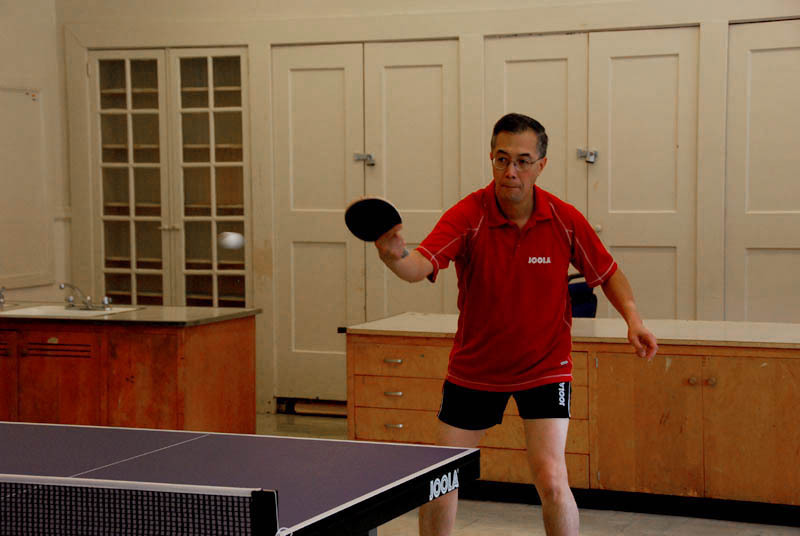 The Club is one of the largest organized table tennis clubs in Northern Virginia, and also conveniently serves players from the neighboring Washington, DC and Maryland regions. Everyone is welcome, whether beginners or advanced players. The Club is informal and friendly and currently has playing facilities at the Madison Community Center in Arlington, VA.
Club members meet several times per week at the Center where there are typically 2-to-4 rooms running concurrently, with one table in each room. Most often, players engage in 11-point matches of singles. Doubles matches are also occasionally played. The Club owns the tables, the nets, and the barriers, and provides members with 40mm, 3-star balls for play at the Center. The tables are professional quality Joola. Players must bring their own paddles. Rooms are air-conditioned in the Summer and heated in the Winter, and changing facilities are available at the Center. Non-members are encouraged to come “try out” the Club for one week before deciding to join. Short-term visitors from other clubs are welcome to show up and play, but are expected to become members if they anticipate showing up regularly.